Brooklyn Art Library’s International Opening for the Canvas Art Project! Months in the making, but finally here! My canvas is included with thousands of other artists’ work in the show, as well as documented in an Encyclopedia. A wonderful, inclusive show from around the globe! At Resurrection Records, Spokane , WA. Feb. 6-28. My one-of-a-kind creations for sale! 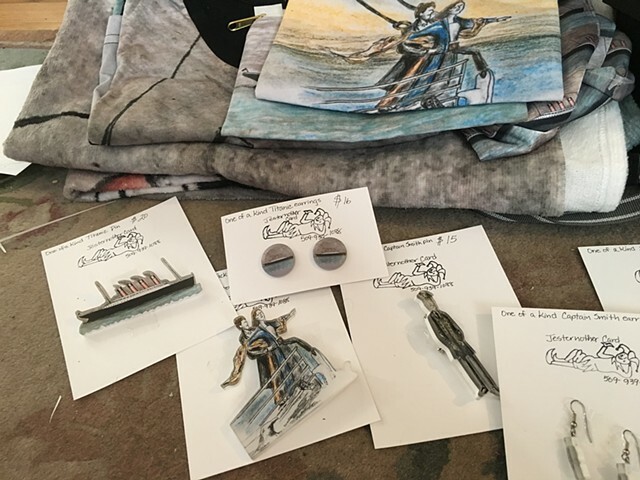 Find jewelry, cards, a t-shirt, and more! 1927 W Northwest Blvd. April 28, 2017 is a day I'll always remember! 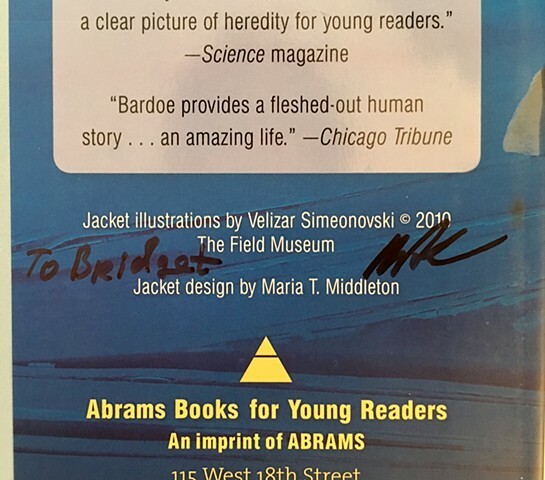 I was lucky enough to your the Field Museum in Chicago behind-the-scenes with scientific illustrator, Velizar Simeonovski. We observed century old art and taxidermied animals discussing and critiquing various pieces. It was an honor to confer with an esteemed colleague. Very honored to be named one of four panelists to adjudicate Spokane Arts Awards for 2015. Very excited to become an active member of The Haggus Society out of Los Angeles! My "Lifecycle Clock" will be exhibited from Oct. 1- Dec. 30, 2015 at the Solstice show. At Woman Made Gallery in downtown Chicago from May 15, 2015-June 25. So honored to have "Ovarian, by Nature" invited!! 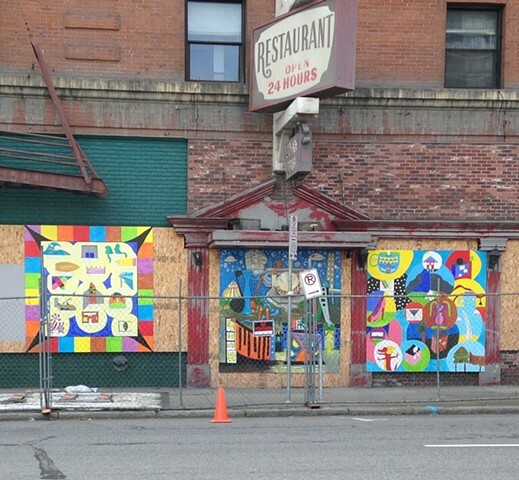 I shall have 2 8'x8' murals featured on the side of the Otis Hotel on 1st Ave and Madison in Spokane, WA. These murals are part of an in-school project facilitating kids' building designs, putting them in my own compositions, and beautifying local vacant buildings. Two images traveling to Miami via See.Me Dec. 2-7, 2014! 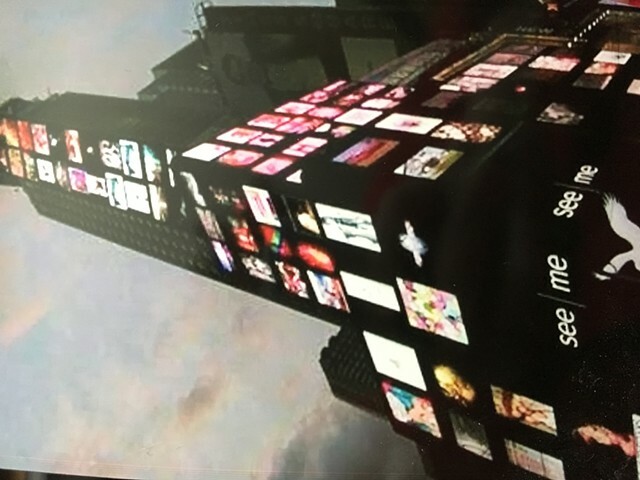 #seemetakeover of TIMES SQUARE NYC! July 24, 2014 from 8-9pm. "Lighter Than Air", "Stamp of Approval", and "Taking Chances" will all be featured on a 25ft tall billboard in the Big Apple! At American Eagle Outfitters Times Square, 1551-1555 Broadway, New York, NY 10036. 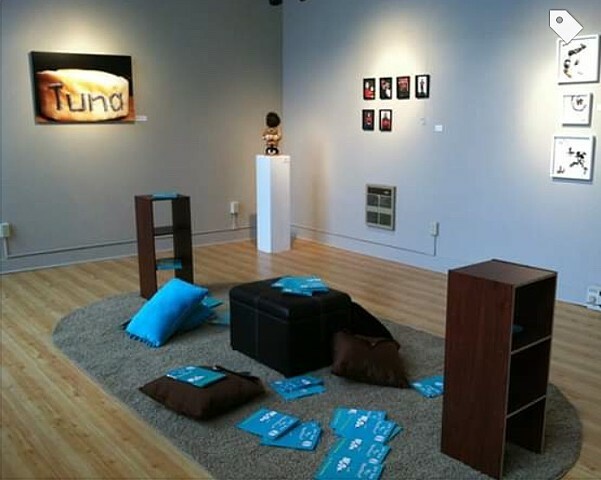 Solo art show in the lower gallery at Interplayers Theater. Featuring: "The 'Are You My Mother?' Reading Room," signed prints of the world renowned print of "It's What's Inside That Counts: The Tuna Can," and two new pieces! In the Scope Pavilion at 1000 Ocean Drive, Miami Beach, Florida. See an image of my "Pieta Pops" on the See|Me monitor! An image of my piece, "It's What's Inside That Counts: The Tuna Can" will be exhibited in the Grande Palais from Oct. 21-27 through ARTslant. If you're in the neighborhood, stop by and take a look! New York, New York is the place to be on Oct. 5, 2013. 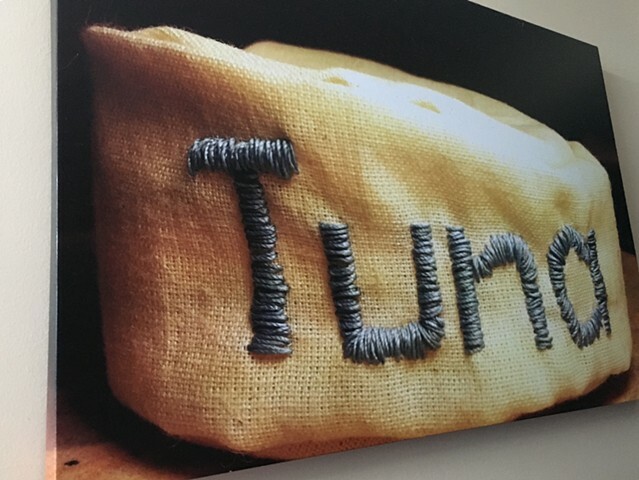 An image of my work: "It's What's Inside That Counts: The Tuna Can," will be projected up onto the 42-story Linc LIC building in Long Island City, Queens. 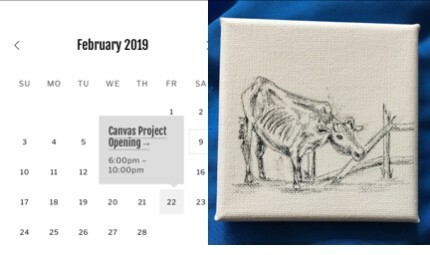 Isn't it funny how a 4" x 4" x 2" work of art can be so big?! This is Spokane's once-a-year contemporary art show. Juried by local professionals, its the show to see, and in which to be seen. Bigger and better each year, I'm excited to be a part of the sixth year of Terrain with "Cut From the Same Cloth"! 3 Digital Images of my work are featured in the see | me Gallery at 26-19 Jackson Ave, Long Island City, NY until Sept. 10, 2013. Go check it out!! 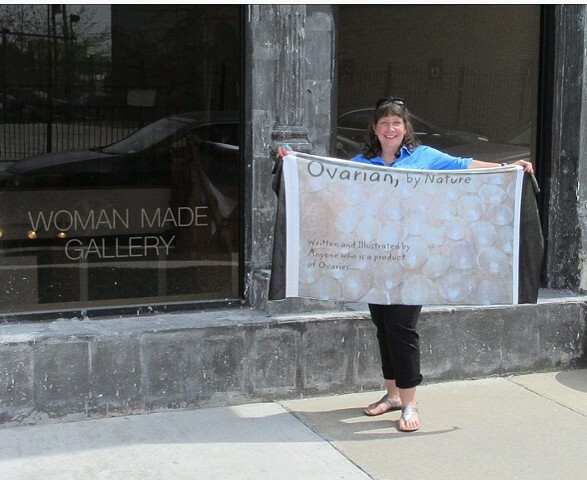 "Ovarian, by Nature" has been invited to "Women's Works" in Woodstock, Illinois! 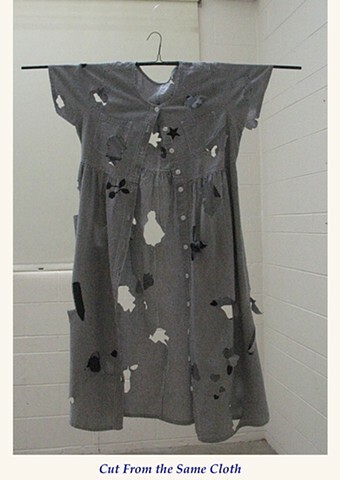 It will show from March 8, 2013 until April 28, 2013 at the Old Court House Arts Center. Thank you to John Heng with the Northwest Area Arts Council for all of the necessary help and communication to make this happen! Thank you to the Northwest Area Arts Council for taking a chance on Social Practice! Get ready for Get Lit 2013! 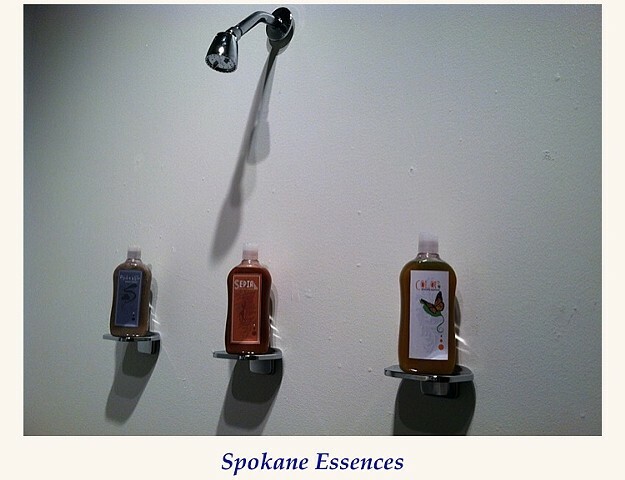 My new, collaborative piece, "Spokane Essences", will be exhibited in the Chase Gallery at Spokane City Hall for Eastern Washington University's 15th Annual Get Lit Festival from April 8-14th. 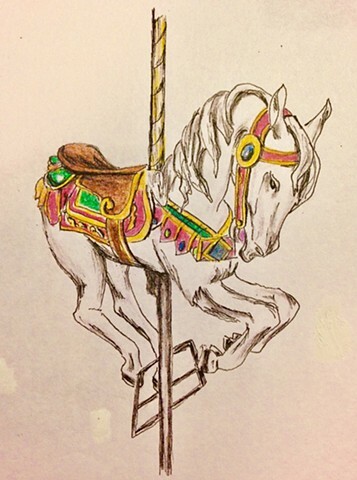 Local author Sharma Shields' stories and my art, my blend together beautifully! Thank you to Sharma, Jean-Pierre Greenlund, Allen Duffy, and Karen Mobley for all of your assistance! Spokesman Review, November 25, 2012. TODAY Section, Paul Turner: A Very Special Gift Guide. My drawings of Spokane Icons on art cards for gifts with a local flavor!